HANOI (7 Dec 2018) – Two former champions – Vietnam and Malaysia – will battle for ASEAN football supremacy in this year’s AFF Suzuki Cup final which will be decided over two legs on 11 December in Kuala Lumpur and then 15 December in Hanoi. Vietnam, the 2008 champions will meet 2010 champions Malaysia after the Vietnamese dumped the Philippines 2-1 in the return-leg semi-final at the My Dinh National Stadium in Hanoi on Thursday to advance 4-2 on aggregate. They had won the first leg in Bacolod City by a similar margin. 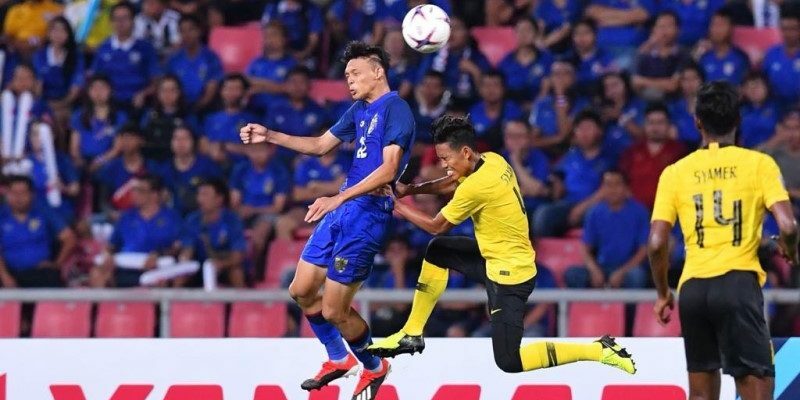 On Wednesday, Malaysia packed off defending champions Thailand with a 2-2 draw in the second leg at the Rajamangla National Stadium in Bangkok to advance on the away goal rules. The first leg in Bukit Jalil, Kuala Lumpur ended in a scoreless stalemate. The Azkals – as the Philippines football team is known – were looking forward to their first final ever in the AFF Suzuki Cup and were counting on former England’s FIFA World Cup coach Sven Goran Eriksson. But the Swede was left a disappointed man. He next turns his attention to next year’s AFC Asian Cup Finals to be played in the United Arab Emirates. In the second leg semi-final, Vietnam were made to slog for the win at My Dinh and it was two quick goals late in the match that swung the tie in their favor. Nguyen Quang Hai scored the first in the 82nd minute – tapping in past Patrick Deyto. Two minutes later it was 2-0 for Vietnam on the night with Nguyen Cong Phuong beating Deyto yet again from close before Amani Aguinaldo pulled one back for the Azkals in the dying minutes. The first-leg final will be played at the National Stadium in Bukit Jalil, Kuala Lumpur on Tuesday while the return-leg at the My Dinh National Stadium in Hanoi will be played on 15 December.